Liwonde National Park – Travel Guide, Map & More! Ariadne is a renowned Africa expert. She and her husband form a team who write and update many Bradt guides, including the guide to Malawi. Ariadne is a renowned Africa expert. 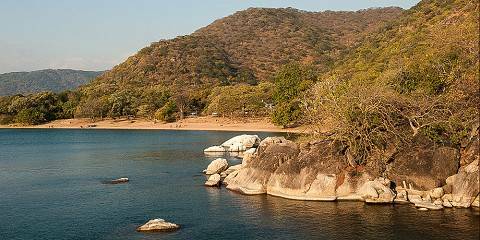 She and her husband form a team who author the Bradt guide to Malawi. Ariadne and her husband form a team who author the Bradt guide to Malawi. Despite its relatively small size and proximity to human settlements, Liwonde NP feels like a true wilderness. Its lifeline, the Shire River, is one of Africa’s great waterways, and boat trips are recommended. 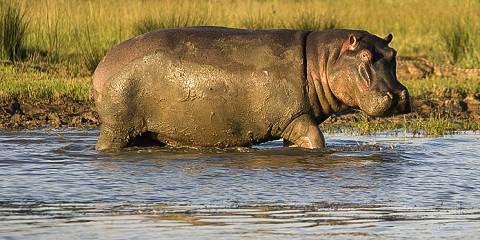 The river supports populations of hippo and crocodile, and elephant are encountered along the shore. The birdlife is nothing less than spectacular. A great community project run by CAWS in the park is the aptly named Children in the Wilderness, a life skills program for disadvantaged children. Poaching has been an ongoing problem in Liwonde, but this has improved since 2015 through the efforts of Peace Parks Foundation, which works to create transfrontier conservation areas straddling international borders. 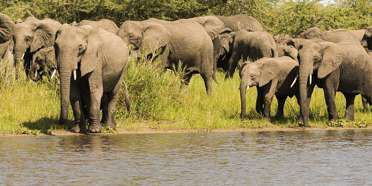 Of the Big Five, elephant is common and can often be seen around the Shire River. Lion and cheetah have been reintroduced recently and black rhino is protected in a fenced-off area. The river teems with hippo and crocodile, and the park supports a good variety of antelope including impala, waterbuck and the more elusive sable antelope. Liwonde is a very scenic park, with the Shire River its focal point. Big, lush swampy areas with borassus palms fringe the waterways and give that real heart-of-Africa wilderness appeal. Impala lilies bring bursts of color to the dry interior most of the year, and an array of wildflowers are plentiful during the rainy season. Although the climate is quite hot throughout the year, Liwonde experiences defined Dry and Wet seasons. The Dry season months, from May to October, are cooler overall, though temperatures spike in October just before the rains start. December to February are the wettest months; expect daily downpours. At this time roads deteriorate. By the end of the rains, a boat shuttle might be the only way to reach the camp. The middle and end of the Dry season (July to October) offer the best wildlife-viewing opportunities. During these months, animals are easier to spot as they are drawn to the river and other water sources. This is especially the case towards the end of the Dry season (though October can be unbearably hot). The lush emerald season (the Wet season) has its own appeal, especially for keen bird watchers, although roads can be hard to navigate at this time. 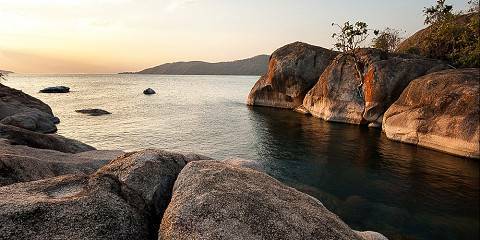 Want to Visit Liwonde NP? Not many animals due to poaching unfortunately.